Our professional DJ’s know how to make your event or party memorable! Traditional World Music from Countries Around the Globe, Including: India, China, Japan, Greece, Italy, Germany, Turkey, Iran, France, Ireland, Albania, Switzerland, Spain, Africa, Brazil, Russia, Australia, Cajun, Caribbean, Dembow Music, Zouk Music, Soca Music, Bhangra Music, Scotland, Reggaeton, Salsa, Merengue, Bachata, Ballroom Music, Square Dance Music, Country Music, Lebanon, Dabke Music, Edm, Hip Hop, Trap Music, Fashion Show Runway Music, Celtic, Korean, American Indian Music, Bollywood Style Indian Music, Jewish Traditional Zydeco Music, Old Tymey Music, Ambience Music, Opera, Classical, Jazz, Fusion, Funk, Hip Hop, and more! DVD of the Event included! 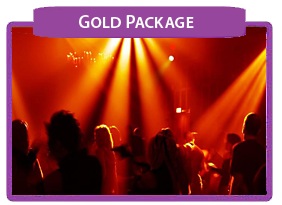 Includes the Bronze DJ Package with a fantastic Fun Giveaway Package! The DJ/MC keeps the kids entertained with games and interactive fun throughout the time of the party. Giveaways include everything from Pirate Eye Patches to Mardis Gras Beads, Beach Balls and all sorts of fun novelty items. Includes every level of DJ, with a special eye towards keeping the kids entertained. Plus the Giveaway Packages are streamlined and in cases of special themes, brought into accord with your theme. Our Packages include all sorts of games and giveaways that will definitely give you the most bang for the buck! includes every level of DJ, with incredible games and giveaways included! Karaoke Packages included and every package is tailored to fit your budget. We can include everything from Centerpieces to Decorations in our Party Packages. We service all of New England, especially Massachusetts! Total Entertainment comes complete with a $2,000,000 Liability Insurance, Workman’s Comp, and all Commercial Vehicle Insurance.